Ichi Efu, by Kazuto Tatsuta. 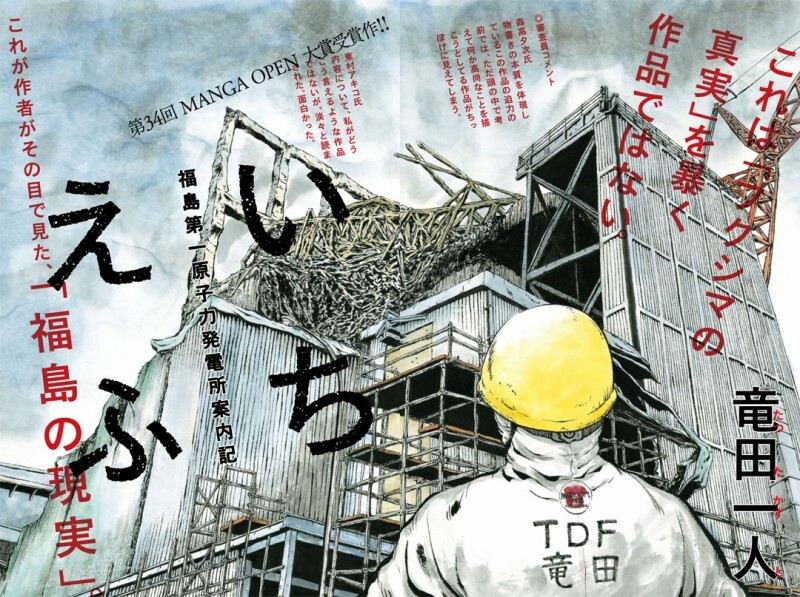 A manga by artist going by the name Kazuto Tatsuta takes readers inside the crippled nuclear plant of Fukushima Dai-Ichi, or ichi efu (1F) – as insiders dubbed it – a place he himself worked in 2012, a decision he took in a period of financial struggle. The graphic novel “1F: The Labor Diary Of Fukushima Dai-ichi Nuclear Power Plant,” (いちえふ ～福島第一原子力発電所労働記～) offers a rare peek into the plant which was hit by one of the most powerful tsunamis in Japan's history on March 11, 2011. The plant currently remains accessible exclusively to plant workers, employees of Tepco – the operating company – and few representatives of the press, on occasional tours. In the pilot chapter, he describes the daily routine of the laborers, the different masks, layers of protective suits and clothing they have to wear every day, the use of an Active Personal Dosimeter which alerts them when they reach the daily radiation dose allowed, and their trip back and forth from the J-village, a former sports center that was converted into a residence for the laborers after the accident. Tatsuta's manga won the 34th Manga Open award in 2013.